Traveling by train may not be as convenient as hopping on an airplane, but what riding the rails lacks in speed, it makes up for in overall experience. From taking a meal in the dining car to watching the landscape pass by outside your window, a train trip is less about the final destination and more about the journey. 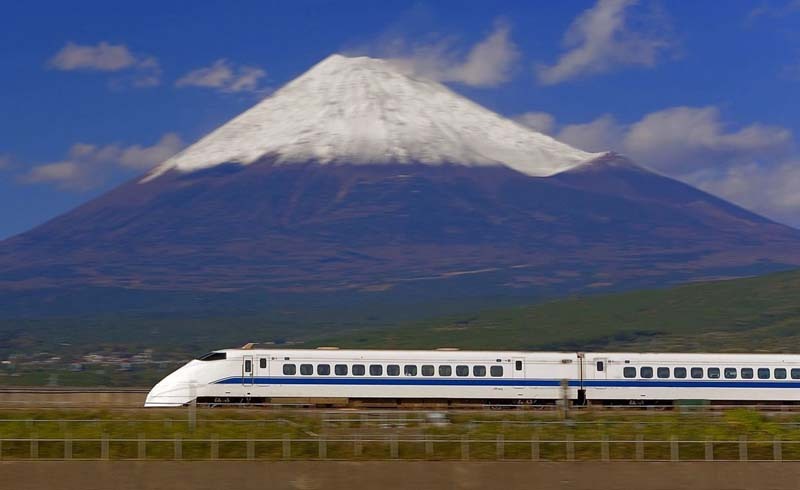 No matter what part of the world you want to explore, there’s most likely a way to do it by rail. Lonely Planet’s new guide Amazing Train Journeys compiles 60 routes around the globe with stunning scenery or unique trains. Whether you’re looking for a quick day trip or a long-distance getaway, the book has options for every traveler, from a weeklong journey across Canada to a three-hour ride aboard an antique train in the foothills of the Argentinian Andes. Read on to discover 11 of these incredible trips and start planning your own overland travel. A window seat is a must when riding on the Bernina Express. Travelling from Chur, Switzerland, to Tirano, Italy, riders take in the Alpine landscape over the course of four and a half hours. The route includes 55 tunnels and 196 bridges, including several impressive viaducts. 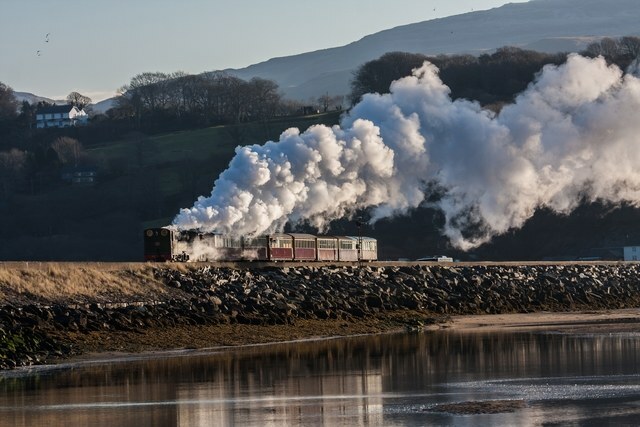 The four-hour trip from Caernarfon to Blaenau Ffestiniog weaves through the mountains of North Wales and combines two historic railways. The steam engines stop in small towns and pass by slate quarries and forests. 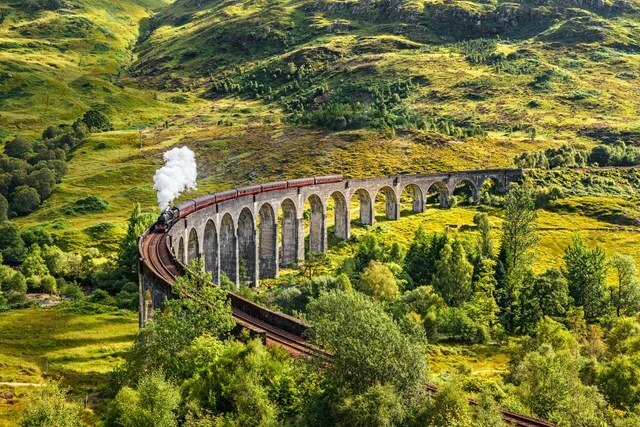 Take a quick two-hour jaunt through the Scottish Highlands on a vintage steam train, which Harry Potter fans will recognize as the Hogwarts Express. The scenic route passes over a 21-arch viaduct, and riders will spy Britain’s largest mountain and Scotland’s third-largest lake. 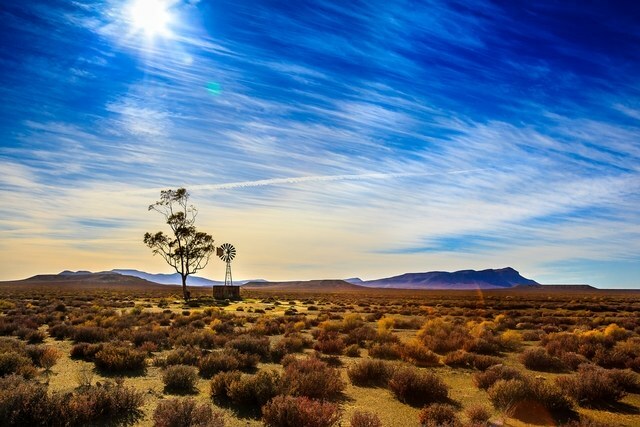 The overnight trip on the Shosholoza Meyl tourist class sleeper train takes passengers through the Great Karoo desert and the vineyards of the Cape Winelands. For those looking to upgrade, The Blue Train, Shosholoza Meyl’s Premier Classe, and Rovos Rail offer luxury service from Pretoria to Cape Town. The two-part journey from Lima to Huancavelica takes passengers from sea level to 15,000 feet. 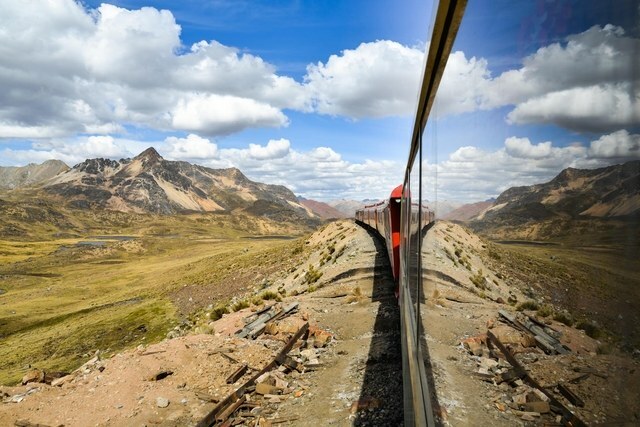 The trip begins at Lima’s Beaux Arts Desamparados Station and includes a stop at Ferrocarril Centro Andino, the world’s highest passenger railway station. Passengers board board the train to Lashio before dawn, leaving the entire day to enjoy the scenery of Myanmar. 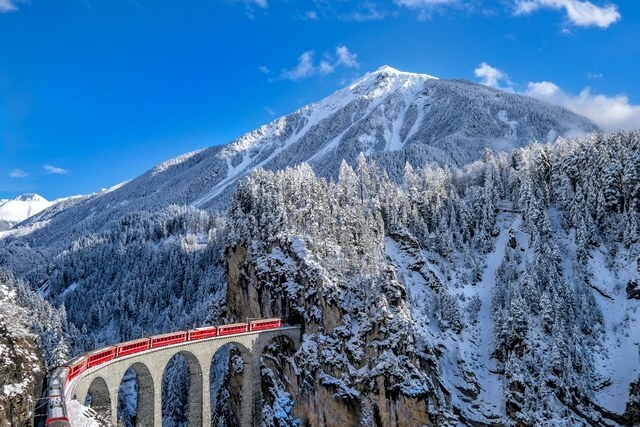 The train is not luxurious, but the views—including the impressive Gokteik Viaduct—are more than enough to compensate for the lack of creature comforts. 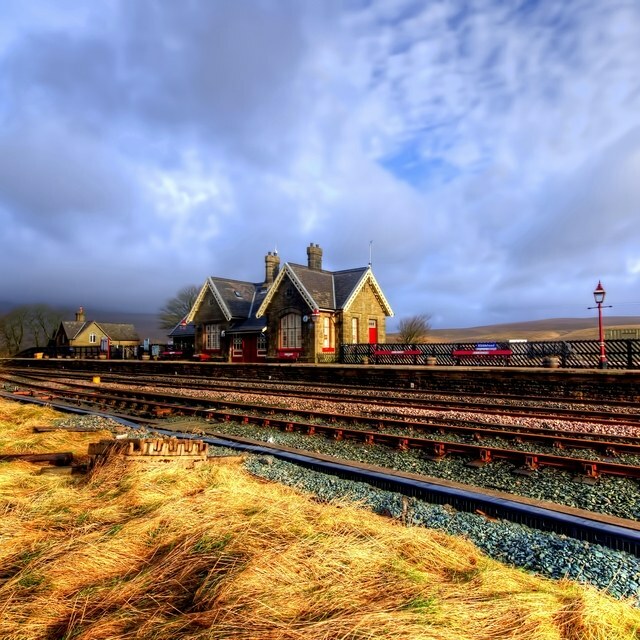 The Settle-to-Carlisle line in Northern England offers 73 miles of impressive landscapes and charming stations. The hour-and-40-minute trip fully reopened in 2017 following a partial landslide, and departs daily. Traveling from urban Beijing to historic Lhasa is like riding back in time. 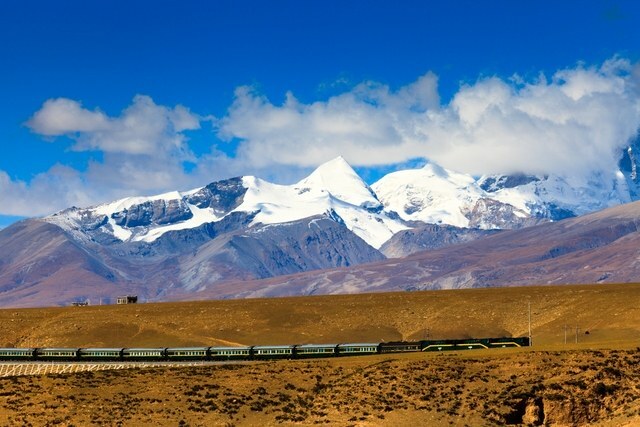 The Z21 train climbs nearly 16,400 feet over the 40-hour trip, passing palaces, snowy peaks, and sacred lakes. 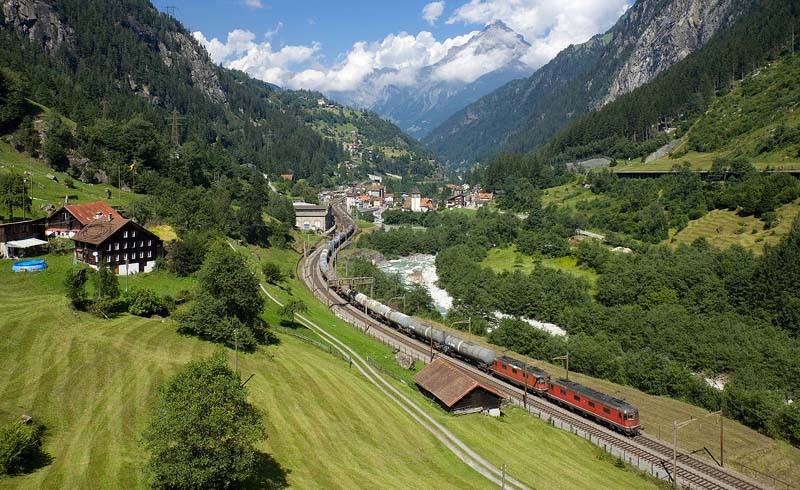 While not as famous as some of Switzerland’s other train routes, the Centovalli Express is just as beautiful, and as a bonus, much less crowded. 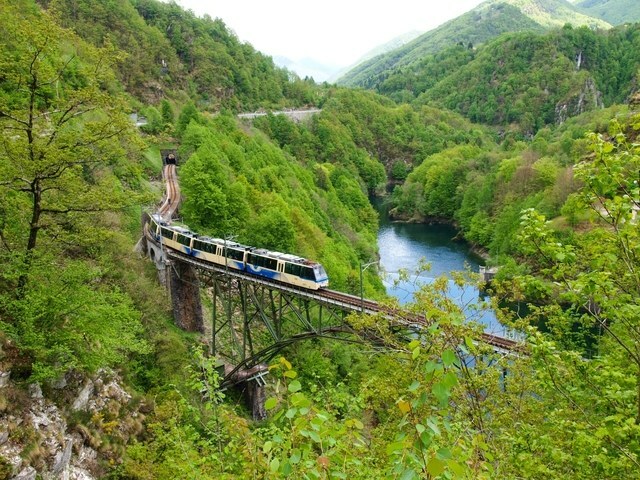 The two-hour trip takes passengers for Locarno, Italy, to Domodossola, Switzerland, with views of waterfalls, vineyards, snow-capped mountains, and, in the fall, brilliant foliage. 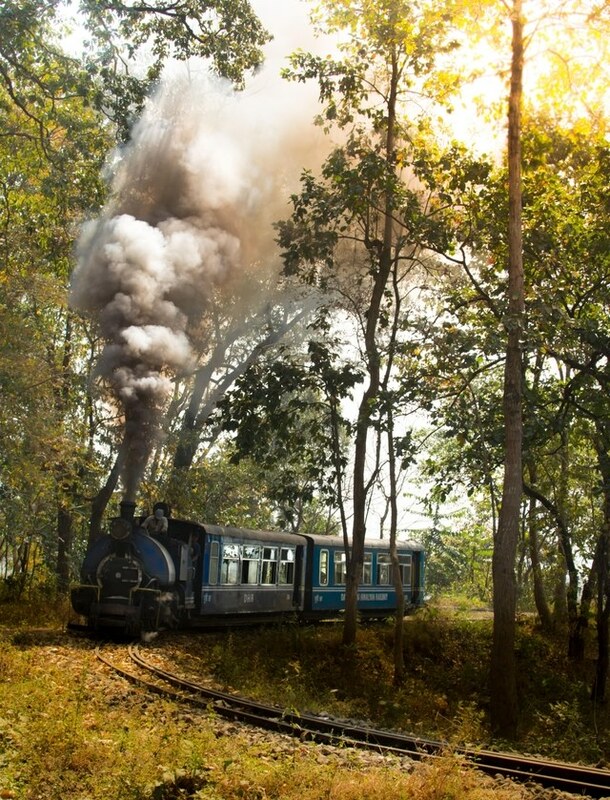 The bright blue train, which was inaugurated in 1881, goes from New Jalpaiguri to Darjeeling. 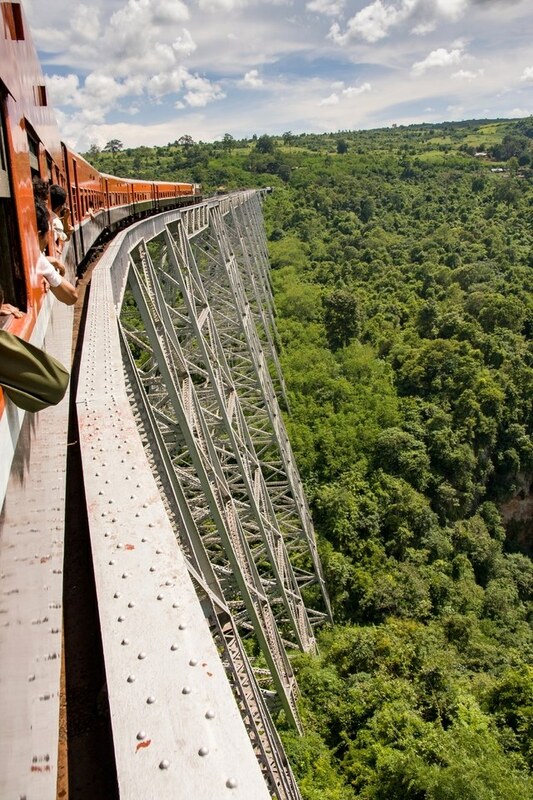 Passengers will travel over the winding narrow-gauge railway passing tea plantations and crossing 554 bridges. The eight-hour journey from St. Moritz to Zermatt passes through the Swiss landscape, from green meadows to snow-covered peaks. 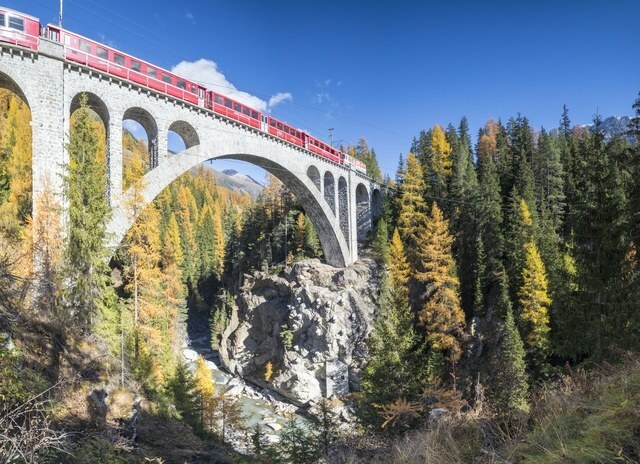 The Glacier Express crosses 291 bridges, including the famous Landwasser Viaduct, and goes through 91 tunnels.